As we draw a close on our 70th Anniversary season, we have many accomplishments to reflect on. 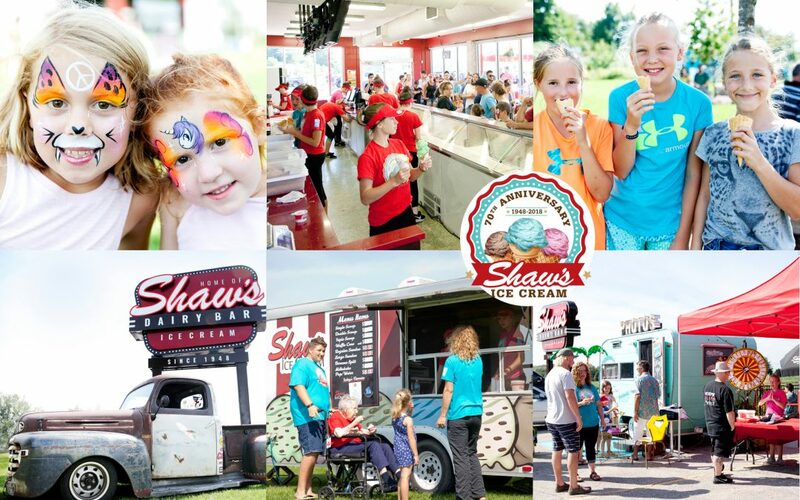 Shaw’s Ice Cream has become part of many family traditions, and for that we are grateful to have been included. Thank you to everyone who attended our 70th Anniversary Customer Appreciation on Saturday. The event was certainly overwhelming for my sisters and I. We loved meeting with our customers, hearing their stories and sharing time together. That experience, and how it made us feel, certainly motivates us to continue to work hard to bring more products to our customers. For the last several months we have been working hard at expanding our production capabilities. We are excited to announce that later this year we will continue to grow with the addition of a new Tillsonburg production facility. This expansion will allow us to make more of our traditional hard ice cream in a modern facility to better meet the needs of our customers. We are pleased that all our ice cream makers are excited to join us at our new facility. They will benefit the most from the updated operations. Shaw’s Ice Cream will continue to be headquartered on Sunset Road, St. Thomas. Our iconic Shaw’s Ice Cream Dairy Bar will remain unchanged. Customers will continue to enjoy their favourite treats on their way home from Port Stanley, after the big game or as part of their personal traditions. We are overwhelmed by the support and loyalty of our customers. It’s been incredible to watch our small-family run business grow over the past 17 years and we are excited to see where the next 70 years will take us. We are forever grateful and humbled by the love you share for our ice cream.